Staying in a Treehouse hotel is an awesome experience for anyone trying to mix things up on their next vacation. Remember that treehouses were part of almost everybody’s childhood and many people even hold cherished memories about their youthfulness and creative imagination. Due to the popularity, many countries have opened up resorts providing families with a complete treehouse hotel & travel experience. These types of vacations are also perfect for those who have never stayed in a tree house before. If you’re looking for treehouse getaways, family reunion or are part of a group, don’t worry as there is a perfect tree house resort somewhere out there for you. Treehouse hotel vacations come equipped with everything that a traditional vacation would provide but the only difference is they try to blend things and provide an unique outdoor experience. The swimming pools will be in the wilderness and some have even converted a lake into a safe swimming area. Next, the accommodation is well equipped with fireplaces, living room space and even suites however again they are all part of a treehouse cabins wilderness experience. There are some resorts that have built tree houses close to beaches giving vacationers a chance to experience restaurants along the beach and fun in the sun by lounging on the beach. Both locations either beach or wilderness has private tours and their own custom activities that visitors can take part in to add on to the excitement of the treehouse hotel vacation. We have put together a list of the best treehouse hotels USA for you. and other countries that have built a reputation for providing excellence and an experience you won’t forget. 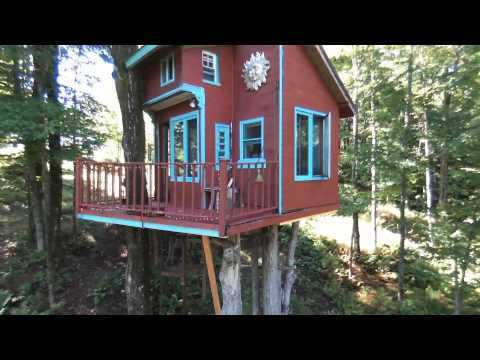 #1 Treehouse Point – Issaquah, Washington. 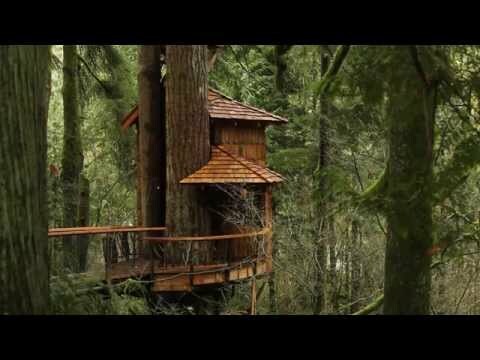 Explore the "Treehouse Point" in Washington. This place is pure magic! The grounds with the river is just magnificent and the tree houses are so comfortable and cozy, you don´t want to leave. The treehouse cabins are spaced enough apart that it feels like you are alone in the woods in your own private tree cabin. 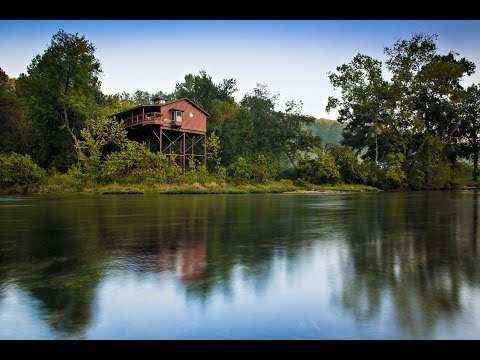 At the treehouse hotel Washington 5 different tree cabins are currently available. Rates are $265.00 to $395.00 per night, depending on the one you choose. Be sure to reserve way in advance, at least 2 month before your stay. The price is very affordable and a night will run you around $160 - Out´n About Treehouse Treesort. If you are looking for treehouse hotel Oregon: The concept is a bit different then other treehouse hotel rentals because this is a bed & breakfast. The out n about treehouse hotel resort is located within a valley along the Siskiyou Mountains in Oregon. The resort is open all year long so it’s awesome for people who have a tough time getting away on specific days of the year. The out and about treehouse hotel in Oregon is perfect for kids and many of the activities have been designed to give them an experience they would never forget. It includes five swings, Giant Tarzan, swimming pool and zip-lines over a mile long. Have a look at "Treehouse Cottages" in Eureka Springs, Arkansas. Everything about this place in Arkansas is truly excellent. It feels like being in a different world, high in the treetops, away from all the hustle and bustle. These treehouse cabins all have great views and little decks, perfect to enjoy breakfast or an afternoon cocktail. Each one comes with a heart shaped hot tub that looks out over the woods…. magnificent. Don´t worry to come in winter, they have heated floors. I would really recommend this place to anyone, but just book months in advance because they book up fast! Come enjoy for yourself – childhood fantasy with grown up comforts. It’s located just five minutes from the entrance of Hawaii´s Volcanoes National Park and the local village restaurants are also nearby. But rest assured the two tree houses are as intimate as they come. There is even a cedar hot tub and outdoor shower. Secluded and private tucked in the rainforest with nothing but nature to see and hear all around, time is slowed and the soul can breathe. This is truly an unforgettable experience – to wake up in the canopy of a rain forest, with the birds as the only noise… just awesome. #6 Tiny Fern Forest Treehouse for treehouse vacation New England. The Tiny Fern is located in Lincoln, Vermont. The accommodation for up to three is high up in the leafy branches and so cozy, the perfect getaway for a weekend! The price per night is around $150 including breakfast. Not the “typical” tree-house rental! These three spherical treehouses are beautiful, well-crafted, and unique. The Spheres are incredible comfortable and warm, with every detail thoughtfully and lovingly addressed. Every sphere has it’s own bathroom, a kitchen is available for all the guests, and there is even a sauna. Spending time here is truly relaxing and peaceful. If you are looking for a custom experience, we would recommend doing your own research online to make sure that the resort will be able to provide the type of experience you are looking for (CNN European tree house stays). There you have it, the top 7 treehouse hotel vacation resorts within the U.S. and North America. If you’re looking for a unique travel experience then why NOT try a treehouse vacation and see if it offers you the excitement you are looking for. The good thing is that if you are happy with your first experience, you’ll have NO shortage of places in the world that can provide you a different experience each time. Stay tuned for our next article about treehouse resorts around the world.